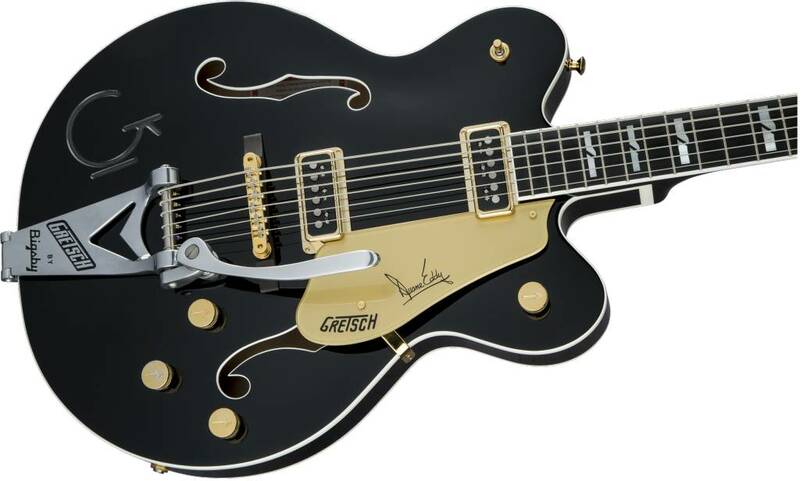 $3,499.99 This may be in stock for quick delivery; please call! 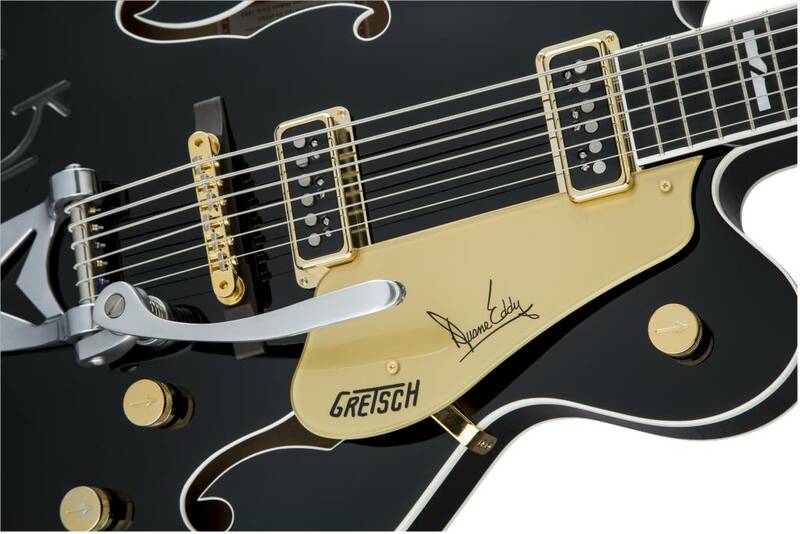 Gretsch® pays tribute to the pioneering and legendary King of Twang, Duane Eddy, with the all-new G6120TB-DE Limited Edition Duane Eddy Signature 6-String Bass. 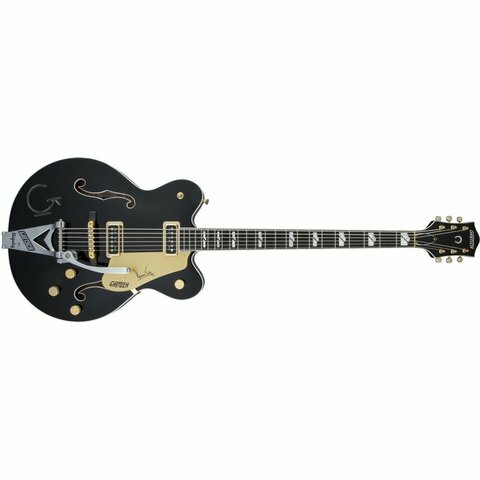 Dubbed Tic-Tac-Twang, this 30.3”-scale length signature bass features a double-cutaway hollow body finished in Black Pearl lacquer with a stealth ghost gray G-brand and gold hardware. Tuned E-to-e (an octave lower) and loaded with twin DynaSonic™ pickups, this bass is perfect for adding definition to any bass track or for creating wide, organ-like chord/melody passages. 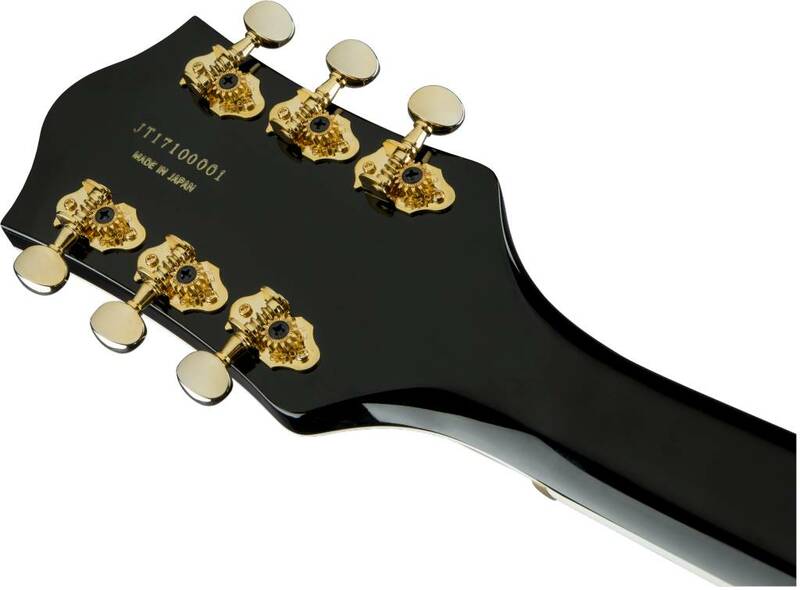 Eddy’s newest signature offering also features ’59 trestle bracing, a polished aluminum Bigsby® B6CDE vibrato tailpiece, brass nut, Adjusto-Matic™ bridge and an ebony fingerboard with 22 vintage small frets and mother of pearl split hump-block inlays.